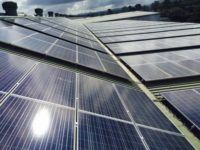 There has never been a better time for Australian businesses to invest in commercial solar power. Last year Solar Choice analysed electricity bills & meter data to generate free indicative solar business cases for nearly 300 businesses, ranging from schools to farms to shopping centres to car dealerships to strata units to doctors’ surgeries (to name just a few). The overwhelmingly obviously outcome from these analyses was this: solar is a fantastic investment for any business with daytime electricity consumption and space to install panels. Below we’ve put together some information about how solar for business works, as well as some of the key takeaways from the data that we’ve collated – with a focus on payback periods & internal rate of return (IRR). Before launching into details about Electricity bills for businesses & commercial premises can be complicated, convoluted and otherwise difficult to understand – which can make it tricky to work out in detail whether solar is worthwhile. The structure of commercial electricity bills varies from state to state, but there are a few fee components that make an appearance on most bills. Retailer charges: The rate that your retailer (the company that sells you your electricity) levies on each unit of energy (in kilowatt-hours, kWh) that you draw from the grid/electricity mains. Network charges: A separate charge (also per kWh) that is levied by the local electricity network company and passed through to you by your retailer. ‘Time of use’ – where different rates are charged depending on the time of day (higher during ‘peak’ usage times, and lower during ‘off-peak’ and ‘shoulder). Other kWh charges: The two charges above constitute the bulk of the average commercial electricity bill, but additional charges may also be itemised on a c/kWh basis. Demand charges: Not all commercial electricity bills have a demand charge, where the customer is billed for the maximum amount of power (in kilowatts – kW – not kWh) that they draw from the grid during a period of time (whether that be a day, month or quarter, etc). Offsetting: This is by far the most important financial benefit that solar delivers for a business. The higher the total rate you pay per kWh of electricity from your retailer, the more sense solar will make for you financially. Furthermore, the more solar energy produced during business hours, the less electricity needs to be purchased from the grid at the total c/kWh rate (the ‘offset rate’). Most types of businesses have their heaviest loads during daylight hours, which makes solar a no-brainer. And because solar offsetting is cost saving measure as opposed to a revenue stream, there are no negative tax implications. Solar feed-in credits: Depending on the size of your system, the deal you have struck with your electricity retailer and the local policies of the state in which your business operates, your business may also be eligible to earn credits (in c/kWh) for excess solar energy sent into the grid. Though only a secondary benefit to offsetting, where available feed-in credits can help to bolster the business case for going solar – especially for businesses that work reduced hours on weekends. Affordability: Solar systems under 100kW in capacity are eligible for an up-front incentive through the federal government’s Renewable Energy Target. This means less capital expenditure to have the system installed and commissioned, which is sure to be an ‘easy win’ for business owners grappling with rising spiraling electricity costs. Depending on the size of the ‘small’ business, a system larger than 100kW may also be a viable option – particularly those who have high electricity demand during daylight hours (e.g. businesses that have lots of refrigeration equipment). That being said, systems in the 100kW+ range tend to be a better fit for larger commercial & industrial properties where electricity consumption levels are even higher. Nationally, the average payback period for systems in the >100kW range is about 5.3 years. The data below is based on nearly three hundred indicative business cases that Solar Choice’s engineering team compiled for commercial clients in 2017 based on their electricity bills. The numbers bear out that rooftop solar is a fantastic investment for the right companies – especially where the offset rates are highest. If you have any questions about our assumptions, or would like us to compose an indicative business case for your business, please get in touch: communications@solarchoice.net.au. Continue below to see detail & information by state.